National People’s Party (NPP) candidate and Meghalaya Chief Minister Conrad K. Sangma concluded his election campaign by addressing a gathering at Rishipara locality under South Tura on Tuesday. “Opposition will try to mislead with all sort of stories but voters of South Tura should remember that this election is not for one day or a week but an election to change the destiny of Tura, which has remained neglected,” he said. He made a clarion call to his opponent to work together as a team in their mission to ensure development for Tura. “A leader should not insult their opponent but respect each other and enlighten the voters. A leader should not lower down his or her opponent. I urge my opponents to be broadminded and have a vision to work for development,” he added. 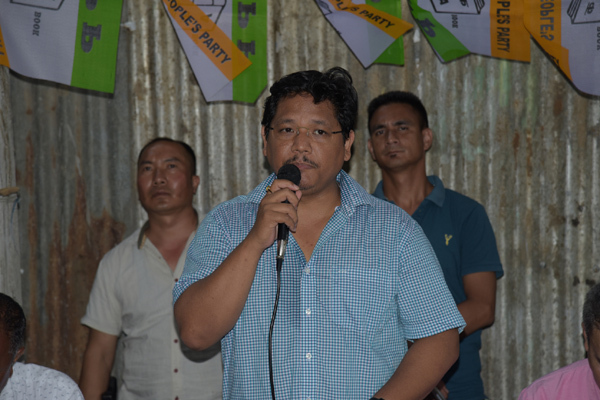 He praised former Tura MLA Billykid Sangma and Agatha Sangma as he made an appeal for his candidature. “Billykid Sangma has sacrificed because he has concern for Tura. He knew that if he wins he can become an MLA but he thought for the State and decided to support me,” he said.